Thursday, Oct. 30 | 12 p.m. 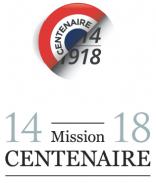 Presented in partnership with the Cultural Service at the Consulate General of France in Chicago with the support of the Institut Français and in commemoration of the centennial of World War I, the Pritzker Military Museum & Library in Chicago will host a joint press conference to unveil a new collection of 100 of the most significant French books on the subject. The press conference will include remarks by Consul General Vincent Floreani. 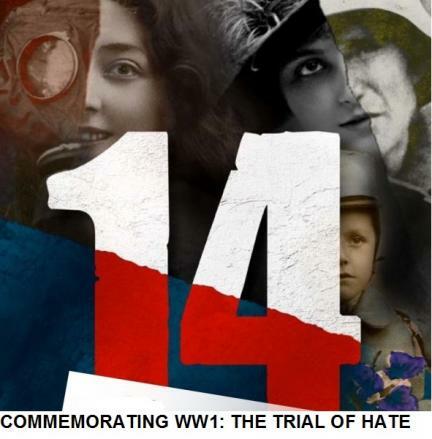 The unveiling will be immediately followed by a special free presentation of Pritzker Military Presents with French author and philosopher Marc Crépon and DePaul University Professor Michael Naas on "The Trial of Hate." The program will explore the surge in time of war of a “culture of fear” and a “culture of the enemy” that are the first and the most formidable of the trials that must be surmounted by those who want not only to make the voice of peace heard, but to give it a chance in the future. Marc Crépon is the chair of philosophy at Ecole Normale Supérieure and director of research at the Archives Husserl. His research focuses on components of linguistic communities in French and German philosophy from the 18th to the 20th centuries, and also on contemporary political and moral philosophy. His main subject is violence. He is the author of sixteen books in French, including The Thought of Death and the Memory of War. The midwest tour was organized by the Book office of the Cultural Services of the French Embassy and the Cultural Service at the Consulate General of France in Chicago. Michael Naas is a professor and department chair at Chicago's DePaul University. He teaches courses in Philosophy and Comparative Literature and conducts research in the areas of ancient Greek philosophy and contemporary French philosophy. His recent published work includes co-translations of Jacques Derridas The Other Heading, Memoirs of the Blind, Adieu, Rogues, and Learning to Live Finally. The Pritzker Military Museum & Library is open to the public and features an extensive collection of books, artifacts, and rotating exhibits covering many eras and branches of the military. Since opening in 2003, it has become a center where citizens and Citizen Soldiers come together to learn about military history and the role of the Armed Forces in today’s society. The Museum & Library is a non-partisan, non-government information center supported by its members and donors.